The passage through the checkpoint suspended. 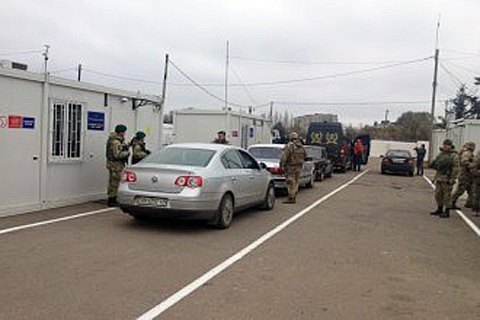 The Donbas militants opened fire at the checkpoint Mayorsk when 6,160 people and 1,105 vehicles queued to cross the contact line between Ukraine and the occupied territories. One person was killed and another wounded in the attack. "As a result of the shelling of 50 m from the checkpoint, the bullets of terrorists hit civilians: one person was wounded in the shoulder and the other received a mortal wound in the head The traffic in this area has been suspended, border guards immediately took people, who were waiting to enter the uncontrolled territory, off the line of fire," the press service of the State Border Service of Ukraine reported. The passage of pedestrians and vehicles in this area is suspended. Medics arrived at the scene to assist the wounded, his state of health is satisfactory. The "DPR" militants laid the blame for the attack on Ukraine. At about midnight, one border guard was wounded in an enemy attack at the Stanytsya Luhanska checkpoint.